We haven't even been graced with the presence of Shrek the Third on our movie screens yet. But that doesn't mean it's too early to start planning for the fourth installment of this enjoyable franchise. Mike Mitchell, the man behind the camera on modern-day comedy non-classics like such as Sky High and Deuce Bigalow: Male Gigolo, is in talks to direct the flick, according to the Hollywood Reporter. Mitchell would direct from a script by Tim Sullivan that will trace the further adventures of Shrek and his friends. There's no word on the fourth film's story, but Cameron Diaz recently told the press that she's pushing producers to take the next film in an even greener direction. The eco-friendly actress has told DreamWorks' honcho Jeffrey Katzenberg that she'd like the flick to have an environmental message. "Maybe the swamp could be in danger, or something," she said. 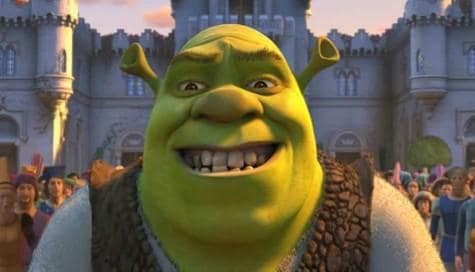 Shrek 4 has been tentatively set for a 2010 release. Shrek the Third. directed by Chris Miller, opens in theaters everywhere on May 18. Puss in Boots 2: Antonio Banderas Says "We're Doing Another One"
Another Shrek Movie On Its Way: Shrek the Sixth?